The union and the sheriff have been splintered since the Parkland tragedy. 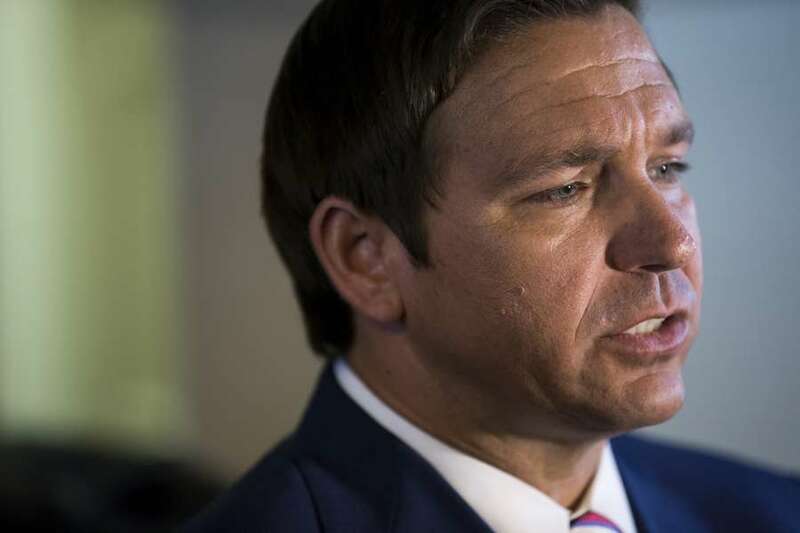 While embattled Broward County Sheriff Scott Israel has been fundraising for Democratic nominee for governor, Andrew Gillum, the deputies' union for his department announced Friday their endorsement of Republican nominee Ron DeSantis. "Ron has consistently stood with law enforcement and supported us in our mission to keep communities safe," said Jeff Bell, president of the Broward Sheriff's Office Deputies Association, in a statement. "His opponent, Andrew Gillum, is hostile toward law enforcement." The statement cited Gillum's signing of the "Freedom Pledge" drafted by a Florida activist group, the Dream Defenders, which advocates for minority rights especially as they relate to the justice system. In 2013, the group famously occupied the state capitol for a month following the acquittal of George Zimmerman, who shot and killed Trayvon Martin, an unarmed black teenager from Miami-Dade. The pledge includes support for the group's "Freedom Papers," which the union says includes anti-law enforcement language, such as saying "police and prisons have no place in 'justice.'" The papers also state that police "were never meant to protect and serve me and you," and "they started as slave catchers hired by wealthy plantation owners." 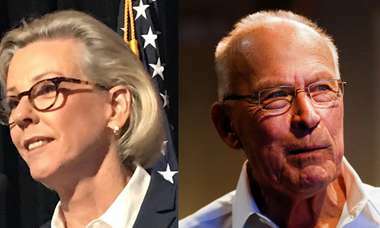 "This is a blatant attack on our law enforcement community, an insult to the citizens we work to protect, and dishonors the memory of our fallen officers," Bell wrote. Johanna Cervone, spokeswoman for Gillum's campaign, said Gillum, as the mayor of Tallahassee has always supported police. "The mayor has been a strong ally of law enforcement in Tallahassee, investing in additional officers to help reduce crime across the city," she wrote in a statement. "As Mayor Gillum has previously said, he will not take money from the private prison industry and instead will invest in community policing, smart justice and strategies that work with communities to reduce crime and create better opportunities for all Floridians." Gillum's campaign has been supported by other sheriffs, such as Russell Gibson of Osceola County and Walt McNeil of Leon County. It's not the first time the Broward sworn deputies' union has rebuked Israel, as the department has been splintered and politicized since the Feb. 14 shooting at Marjory Stoneman Douglas High School in Parkland. In April, the union's majority voted in agreement that they had "no confidence" in Israel's leadership. The union represents 1,350 deputies and sergeants on road patrol, according to Bell. There are a handful of other unions within BSO for other positions such as fire rescue and jail deputies. "It's unnecessary to pin individuals, families, victims or law enforcement against each other," Gillum told the media in Plantation in September. "We have to put our attention on the kind of gun reform that will prevent these kinds of incidents from happening."